Earlier today, Microsoft changed its policies on the Xbox One’s 24-Hour online check-in function, DRM, used game selling and sharing restrictions. The changes? Reversed and axed completely. 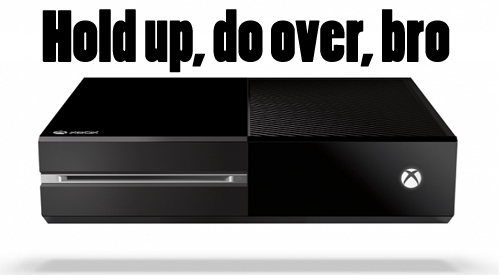 The internet cried foul, called Microsoft out and went to war against the Xbox One. Pre-orders were close to, if not exactly two to one for the Playstation 4 on Amazon and GameStop just by doing “top seller” search on each website. Some will say the voices of gamers did it. Others, like Cliffy B, will say it was good ol’ capitalism; Sony forcing Microsoft’s hand as they took advantage of the core audience’s anger. In the end, though, it’s both. It would not have happened if not for the gaming community coming together and telling Microsoft no, this is not a damn good idea, and then Sony taking advantage. Whichever side you’re on, this is a good thing. Sure, we’ll lose “family sharing”, but who cares? It’s not worth your loss of rights to the goods you purchase. Besides, this country time and again has always shot down “sharing is caring” both in business and politically. Why stop now?